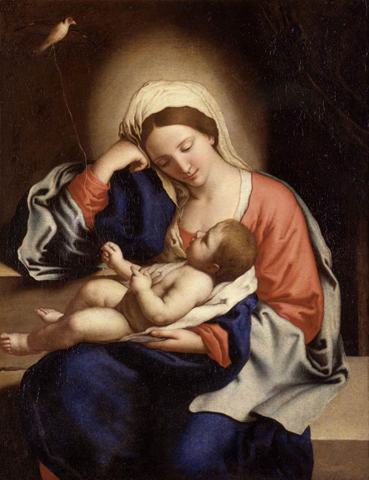 Luke 2: 19 But Mary treasured up all these things and pondered them in her heart. Mary had begun this adventure nine months before with words from angel Gabriel about being “highly favored” with God, and more words from cousin Elizabeth about Mary’s being “blessed..among women.” And later she heard shepherds- nobody knows how many of them- going on and on about what they had seen on their way to Bethlehem and how angels had told them that Mary’s baby was a Savior- the Messiah! Pretty heady stuff for a young girl who probably hasn’t been out very much. It the kind of stuff which would send most teenage girls’ noses into the air while dozens of other less fortunate and less blessed girls tried to friend her on Facebook. According to Gabriel, it sounds like Mary could have called down a few dozen lesser angels on her own, and according to Elizabeth, Mary could almost certainly have set up her own little cult, replete with special gifts and favors worthy of her being blessed among other women. But Mary did none of those things. She treasured them, to be sure, but pondered them in her heart. Pondering those things (pretty momentous things IMHO!) meant not making a big deal out of them..maybe not making any deal at all out of them. She would simply be the mom. She didn’t have to have others serving her for her to be able to define herself as blessed. She didn’t have to spin the wise men’s gold into showoff accessories for the Emily Strange separates which all cool mothers-of-God are wearing this year. Mary just was, because she was complete, whole, and accepting of herself, and of that angel, those shepherds, and accepting even of the craziest story this side of..well, this side of heaven. And the really, I think, one of the main points of this whole story: Mary was chosen to do something extraordinary because she knew she could do something extraordinary. She didn’t need mall bling to prove that to herself. She didn’t need applause or 2,975 Facebook “friends” to affirm her of her worthiness. She didn’t need a posse, new tats, or paparazzi to know that she was beloved, able, and trusted by God with this fairly important task. Which tells me (maybe you) what? That I (and maybe you) in our seeming ordinariness are capable, able, trusted, and loved enough- as we are, because of who we are not what we are- to do great things when offered the opportunity to do them. Remember, while Mary was giving birth to A Savior the Messiah in the eyes of the shepherds, in her own moments she was giving birth to a baby. Period. And that was extraordinary enough! Who could ever properly bear and raise a SaviortheMessiah? But she could, like most women, bear a child, take care of it day to day, teach him, feed him, love him, etc etc etc- all the things an even mediocre mom does well. We don’t give birth to Messiahs. We give birth to babies. We don’t plant gardens, we plant seeds. We don’t live 60,70,80 years, we live one day, one hour, one tiny breathtakingly valuable second at a time. Treasure those thoughts up and ponder them for a moment, then an hour, then a day and a lifetime..
You can do it. Whatever it is, you can do it.